A new month, a new collection of sample chapters and preorder incentives for recent and upcoming releases from the Sweet Sixteens! 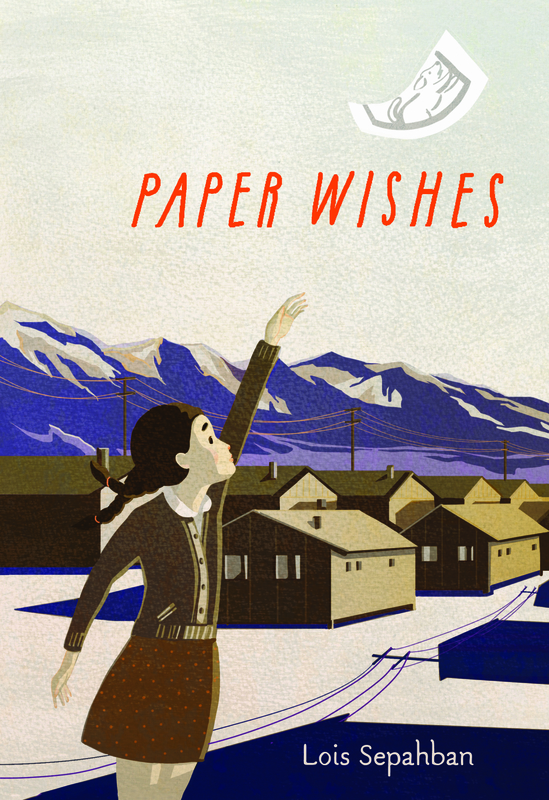 Penguin Summer 2016 Preview Sampler Includes THE SEASON by Jonah Lisa Dyer & Stephen Dyer (page 113), Traci Chee’s THE READER (page 89), and Aditi Khorana’s MIRROR IN THE SKY (page 1) . From the Grave by Cynthia Reeg (Jolly Fish Press, October 18, 2016). Preorder and have a chance to win a spooky child’s t-shirt! A new month, a new collection of sample chapters and preorder incentives for upcoming releases from the Sweet Sixteens! THE KILLER IN ME by Margot Harrison (Disney Hyperion, July 12): Preorder and get exclusive “murder road trip” bookmarks and postcards, plus shovel charm jewelry. 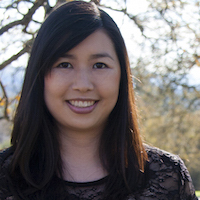 Traci Chee is an author of speculative fiction for teens. An all-around word geek, she loves book arts and art books, poetry and paper crafts, though she also dabbles at piano playing, egg painting, and hosting potluck game nights for family and friends. She studied literature and creative writing at UC Santa Cruz and earned a master of arts degree from San Francisco State University. Traci grew up in a small town with more cows than people, and now feels most at home in the mountains, scaling switchbacks and happening upon hidden highland lakes. She lives in California with her fast-fast dog. Traci’s YA debut, THE READER (Penguin/Putnam, Fall 2016), is a nonlinear, multi-POV fantasy perfect for fans of Inkheart and Shadow and Bone: When her only remaining relative is kidnapped, Sefia vows to save her—even if that means learning to read in a world where literacy is forbidden and sacrificing the boy she loves to the secret society that destroyed her family. Greatest thing about being a 2016 debut author: Besides the fact that she gets to do books? Definitely the people. She’s met such talented, whip-smart, hilarious people on this journey, she’s seriously so so lucky to be here. 16th Day Update: 16 Days until 2016! Three Sweet Sixteeners Appeared On The Winter 2015-2016 Kids’ Indie Next List: Marisa Reichardt, Lois Sepahaban and Marieke Nijkamp! The list is based on recommendations by independent booksellers. It is comprised of titles publishing from November 1, 2015-January 31, 2016. Laura Shovan, author of the MG novel THE LAST FIFTH GRADE OF EMERSON ELEMENTARY, has been named the Howard County Poetry and Literature Society’s Writer in Residence for 2015-2016. Laura will be conducting poetry workshops in 13 local high schools. You can read more about the program in the Baltimore Sun. Kathleen Glasgow, author of the YA novel, GIRL IN PIECES, wrote a “Book to Movie: Who Will Bring My Characters to Life?” for literary blog ReadWriteLove . See who would be perfect for Charlie on the big screen! In other major news, foreign rights for GIRL IN PIECES have recently been sold to Brazil and Czechslovakia. Audio rights for GIRL IN PIECES and a second book have been sold to Random Houses’s Listening Library. Audio for GIRL IN PIECES will be released simultaneously with the hardback on Sept. 27, 2016. 5 Sweet Sixteens will be featured authors at the NOVA Teen Book Festival in Arlington, VA on March 5, 2016. Sefia knows what it means to survive. After her father is viciously murdered, she flees to the forest with her aunt Nin, the only person left whom she can depend on. They live their lives on the run in the wilderness, forever searching the shadows for threats. Nin’s always tried to protect Sefia, teaching her how to hunt, track, and steal, giving her the skills she’ll need to stay alive. But when Nin is kidnapped, Sefia is suddenly completely alone, and nothing she’s learned can help her find out who’s taken Nin and what else they might be after. Her only clue is a strange rectangular item that once belonged to her father—which may unlock the secrets to his murder and Nin’s disappearance. Though reading is unheard-of in her world, Sefia discovers that the curious object is a book, and a precious one at that. With the help of this book, and the aid of an enigmatic stranger with secrets of his own, Sefia is determined to rescue her aunt and uncover just what happened the day her father was killed. With her mother facing prison time for a violent political protest, seventeen-year-old Liberty Briscoe has no choice but to leave her Washington, DC, apartment and take a bus to Ebbottsville, Kentucky, to live with her granny. There she can finish high school and put some distance between herself and her mother– her ‘former’ mother, as she calls her. But Ebbottsville isn’t the same as Liberty remembers, and it’s not just because the top of Tanner’s Peak has been blown away to mine for coal. Half the county is out of work, an awful lot of people in town seem to be sick, and the tap water is bright orange–the same water that officials claim is safe to drink. When Granny’s lingering cold turns out to be something much worse, Liberty is convinced the mine is to blame, and starts an investigation that quickly plunges her into a world of secrets, lies, threats, and danger. Liberty isn’t deterred by any of it, but as all her searches turn into dead ends, she comes to a difficult decision: turn to violence like her former mother or give up her quest for good. Unlike Kaycee, Bren doesn’t really conceal who she is. But as the cool, worldly new girl, nobody at school seems to give her any trouble. Maybe there’s no harm if Kaycee gets closer to her too, as long as she can keep that part of her life a secret, especially from her family and her best friend. But the more serious things get with Bren, the harder it is to hide from everyone else. Kaycee knows Sunshine has a darker side for people like her, and she’s risking everything for the chance to truly be herself. So it’s for the best that he’s dating that new girl, right? That is, until Lia finds out she isn’t the only one at school keeping a potentially deadly secret. And this new girl? Her eyes are dead set on Clay, who doesn’t realize the danger he’s in. If Lia hopes to save him, she’ll have to get closer to Clay. Lia’s parents would totally flip if they found out she was falling for a human boy, but the more time she spends with him, the harder it is for her to deny her feelings. After making a horrible mistake, Lia will risk everything to stop Clay from falling in love with the wrong girl. Ever since she was a baby, the words people use to describe Elyse have instantly appeared on her arms and legs. At first it was just “cute” and “adorable,” but as she’s gotten older and kids have gotten meaner, words like “loser” and “pathetic” appear, and those words bubble up and itch. And then there are words like “interesting,” which she’s not really sure how to feel about. As Elyse works to solve the mystery of who is sending her these notes, she also finds new ways to accept who she is and to become her best self. 16th Day Update: All the News that’s Fit to Blow Your Mind! 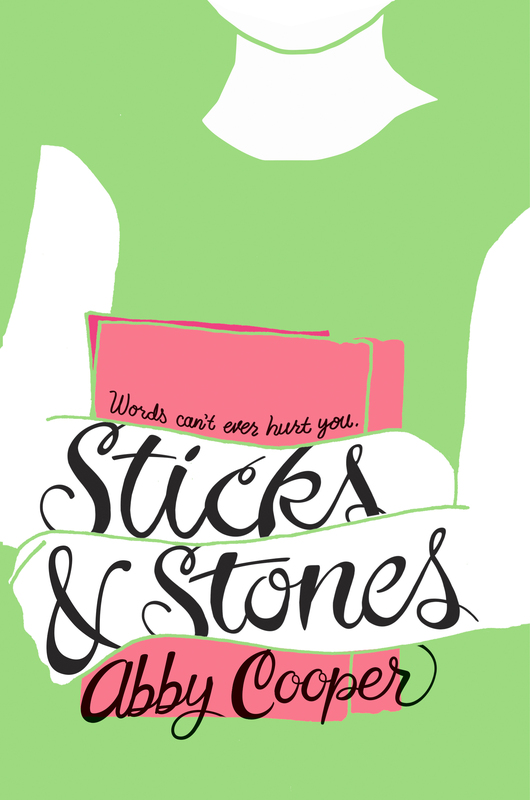 Brooks Benjamin held his cover reveal over at Pop! 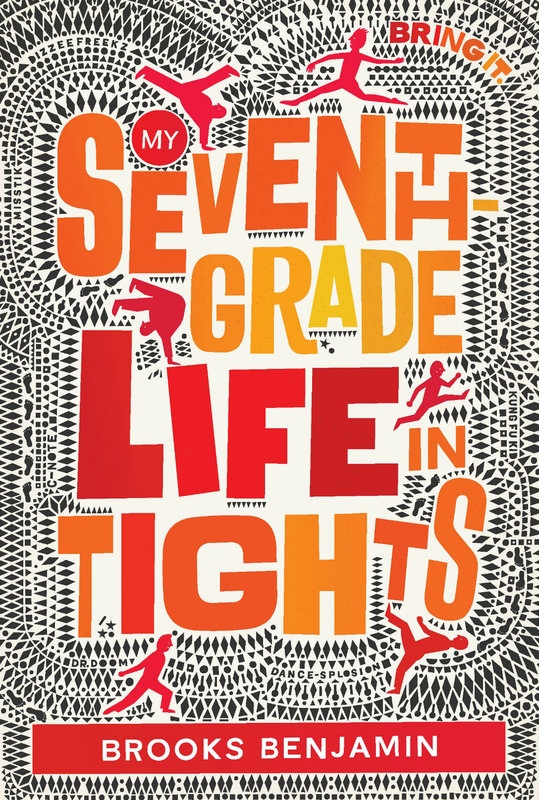 Goes the Reader on May 4th to dizzee-ing acclaim! LIVE IT. All Dillon wants is to be a real dancer. And if he wins a summer scholarship at Dance-Splosion, he’s on his way. The problem? His dad wants him to play football. And Dillon’s freestyle crew, the Dizzee Freekz, says that dance studios are for sellouts. His friends want Dillon to kill it at the audition—so he can turn around and tell the studio just how wrong their rules and creativity-strangling ways are. WORK IT. At first, Dillon’s willing to go along with his crew’s plan, even convincing one of the snobbiest girls at school to work with him on his technique. But as Dillon’s dancing improves, he wonders: what if studios aren’t the enemy? And what if he actually has a shot at winning the scholarship? BRING IT. Dillon’s life is about to get crazy . . . on and off the dance floor. 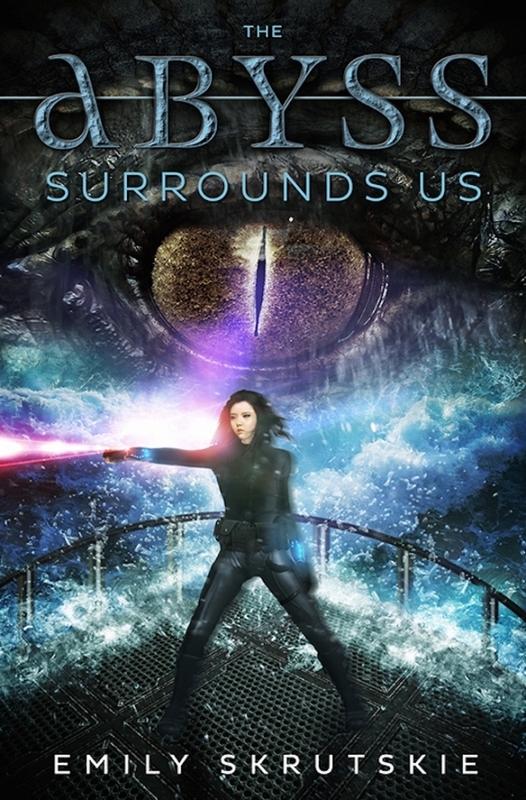 The action-packed cover for Emily Skrutskie ‘s debut was revealed on May 7th on YA Books Central. 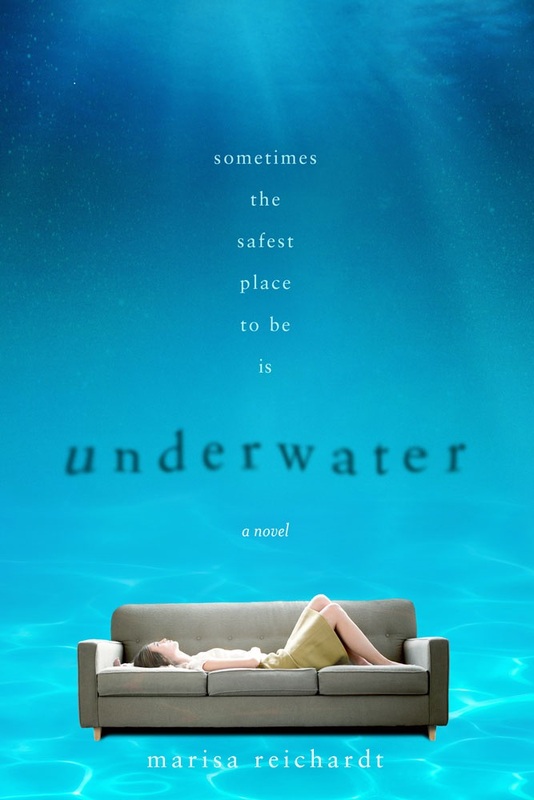 Marieke Nijkamp’s intensely powerful cover was revealed on B&N Teen Blog on May 11th. 10:03 The auditorium doors won’t open. Marieke will be signing copies of THIS IS WHERE IT ENDS at Book Expo America! Find her in the Sourcebooks booth, Friday, May 29, at 2PM. 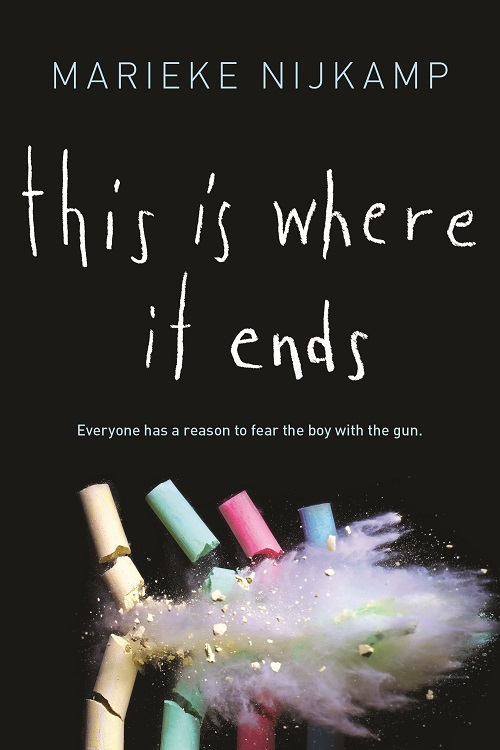 On May 13th, THIS IS WHERE IT ENDS was announced as one of the Publishers Lunch buzz books! Michelle Andreani’s YA contemporary is now THE WAY BACK TO YOU and is due out Summer 2016 from Kaherine Tegen Books/HarperCollins. Erin L. Schneider’s YA contemporary is now SUMMER OF SLOANE and is due out on May 3, 2016 from Disney-Hyperion. Listening Library will release audio editions of Traci Chee’s YA fantasy THE READER. Audio will be available simultaneous with the hardcover. THE READER is due out in Spring 2016 from Penguin Putnam. Foreign rights to Kathleen Glasgow’s THE TENDER KIT have been sold to UK (Oneworld), Australia/New Zealand (HarperCollins), Spain (Penguin/Montena) and Poland (Jaguar). THE TENDER KIT is a YA contemporary releasing Fall 2016 from Random House/Delacorte. Foreign rights to SUMMER OF SUPERNOVAS by Darcy Woods have sold to Fischer in a preempt. Spanish rights (with distribution in Latin America) have sold to Urano’s Puck Imprint. Release date is scheduled for April 5, 2016 by Crown. A STUDY IN CHARLOTTE and its two sequels by Brittany Cavallaro have sold to Take Shobo in Japan. Brittany’s first poetry collection GIRL-KING is out and available for pre-order. It made a list on Refinery 29 of 30 of The Best Books Written By Millennials. SWORD AND VERSE by Kathy MacMillan will be available in hardcover and e-book on January 19, 2016. Set in a land where writing is the sacred privilege of a few, it is the story of a slave girl who gets the extraordinary chance to learn the language of the gods when she becomes a royal tutor. But her dreams are threatened by her forbidden love for the prince, and her loyalty is tested by the Resistance, who dare her to join in the fight for her people’s freedom. National Book Award finalist Franny Billingsley says of SWORD AND VERSE: “Fascinating and unique. I couldn’t turn the pages fast enough.” SWORD AND VERSE is available for pre-order at HarperCollins, Amazon and Indigo. Kali Wallace will be doing a reading at WisCon 39, the feminist SFF convention in Madison, Wisconsin that’s happening May 22-25. The reading will be at 10:30pm on Saturday, May 23 in Conference 1. Also reading are Gregory Norman Bossert, John Chu, Jessica Hilt, Jennifer C. Hsyu, Leah Thomas and Tom Underberg. Kali’s short story, “The Proper Motion of Extraordinary Stars” has been published in Shimmer Magazine. An author interview to go with the ebook version of the issue is available for purchase. Music by SYMPTOMS OF BEING HUMAN author Jeff Garvin’s former band was featured in an April episode of the CBS crime drama PERSON OF INTEREST. Laura Shovan, author of THE LAST FIFTH GRADE OF EMERSON ELEMENTARY, is a poet-in-residence at Northfield Elementary School in Howard County, Maryland. This is an annual series of poetry workshops for the school’s 3rd grade. It’s paid for in part by a grant from the Maryland State Arts Council. Laura posts the 3rd graders’ writing on her blog. The students LOVE comments from fellow authors so stop by and check out their work! Kate Hart, author of AFTER THE FALL, has profiled several YA/MG authors recently on her Badass Ladies You Should Know series, including Kirsten Hubbard, Aisha Saeed, I. W. Gregorio, Courtney Summers, Maya Rock, and Ellen Oh. Next week she’ll have newly minted NYT bestseller Sabaa Tahir.